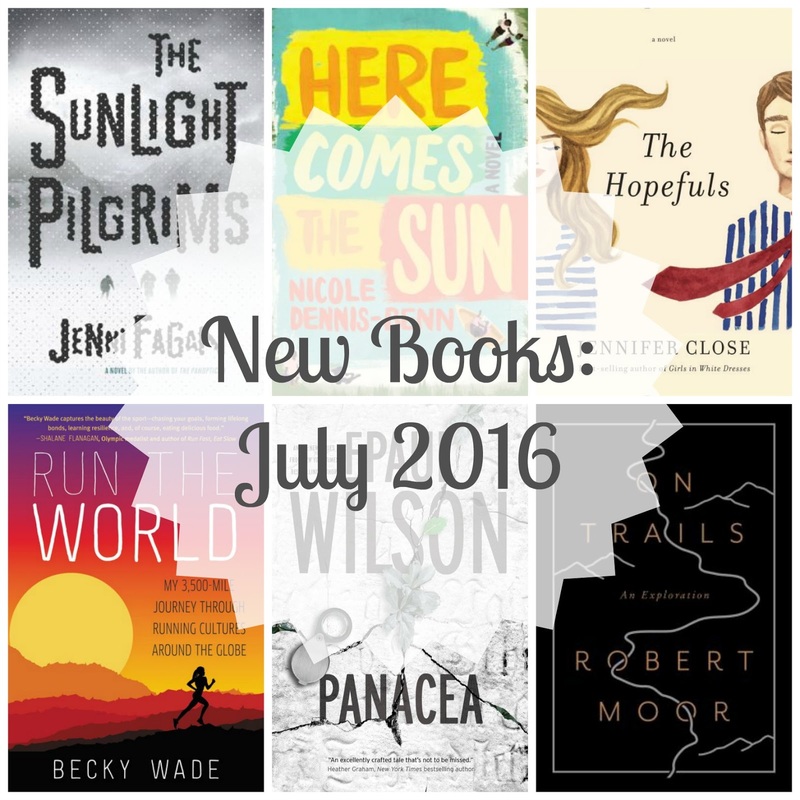 I never got my act together for a "Books to Look for in June" post, so July will just have to suffice. Unfortunately, high summer temps tend to bring about a slowdown in books published, so this month and next are a wee bit light--but that just gives us all the time to catch up on reading before the fall books are upon us in September and October. Here Comes the Sun, by Nicole Dennis-Benn (Liveright, July 65h): This is one hell of a powerful novel, ya'll. Curl up with a cold beverage and prepare to take on the harsh heat and beauty of Jamaica here, as Dennis-Benn explores the costs of sacrificing today to get to a better tomorrow. Review to come in Shelf Awareness for Readers. On Trails, by Robert Moor (Simon & Schuster, July 12th): In 2009, Moor hiked the Appalachian Trail. Though his feet stopped moving at the end of the trail, his mind never did--and On Trails is the culmination of his mental (and sometimes geographical and physical) exploration of trails around the world, and how they both shape and are shaped by human interactions. Seriously fascinating stuff. Review to come in Shelf Awareness for Readers. Panacea, by F. Paul Wilson (Tor, July 5th): From the publisher: "Two secret societies vie for control of the ultimate medical miracle—Panacea—in the latest novel by New York Times bestselling author F. Paul Wilson." Not my usual reading material, but I'll bite. Run the World: My 3,500 Mile Journey Through Running Cultures Around the World, by Becky Wade (William Morrow Paperbacks, July 5th): Wade's a runner, not a writer, but that didn't make her exploration of international running cultures any less interesting. Not a perfect read, but sure to be of interest to anyone with even a passing interest in running, packed with new-to-me tidbits about how different cultures around the world train for mileage of all varieties. Review to come in Shelf Awareness. The Hopefuls, by Jennifer Close (Knopf, July 19th): I've admittedly never read anything by Close, though I own two of her previous books (helloooo, need for #ReadMyOwnDamnBooks). Her newest promises a twenty-something story about marriage and careers and growing up, and that sounds right up my alley these days. The Sunlight Pilgrims, by Jenni Fagan (Hogarth, July 19th): Fagan's attention to the details and challenges of everyday life sits perfectly against the backdrop of an imagined near-future in which climate change has caused temperatures across the world to plummet to dangerous lows. I loved this one in ways I didn't expect to at all, and now I'm itching to go back and pick up her 2013 debut, The Panopticon. Review to come in Shelf Awareness for Readers.